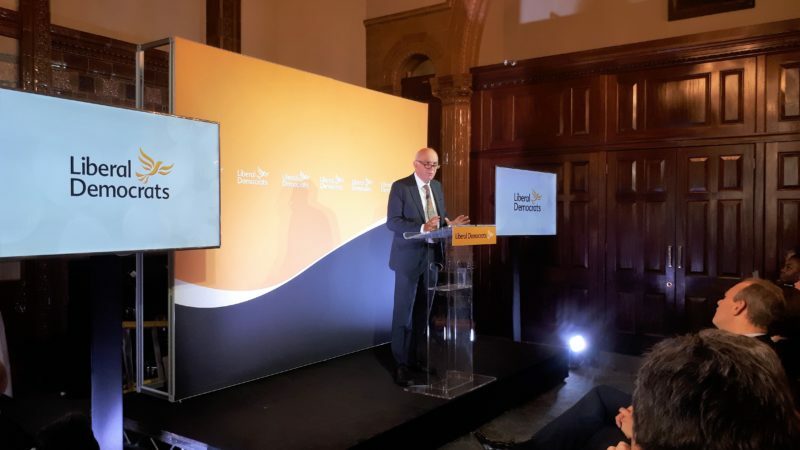 "By opening up our party, I hope to convince those who agitate for a new force that there is already a strong movement for open, centrist, and internationalist politics: the Liberal Democrats." We returned this week from Parliament’s long summer recess. I used the break to give some thought as to the role my party should be playing in the British political system. But undaunted we have battled on. In the year since I took over the leadership we have made impressive strides to restore our position in local government – with the best results for fifteen years – and better ones are anticipated next year. That requires us to remake ourselves in the public mind. We must realise the party’s ambition to build our core support, by opening our arms to that huge swathe of the electorate which shares our values. We must invite people in. Let me say a little about what I mean. We must make it easier to get on board. Second, and in the same spirit, the party should in my view be more open to new members or converts from other parties playing an active role as candidates. At present we have a delay of up to 12 months before a new member can apply to become a parliamentary candidate. This leaves people frustrated – at the moment of their greatest political enthusiasm, we erect an arbitrary barrier to their progress. If they are good enough, and can get approved, they should be able to stand for Parliament on a Liberal Democrat ticket and to do so without delay. But I can understand why many others are deterred from trying to follow suit. And the present parliament, where large numbers – perhaps a majority of MPs – are voting on Brexit against their own judgement and their assessment of the national interest is not exactly a good advertisement. The fact is that our current parliamentary system is severely damaged, if not broken, and a forward-looking party has to look outside as well as inside. Instead, I want to work with the party through the coming consultation to ensure we have solutions to the problems people raise. We have to engage in party realignment. This requires us to demand better than the usual tribalism…of ourselves and of our partners. The biggest challenge will arise if a significant number of Labour or Conservative MPs leave or are forced out of their parties. But this is not a Monty Python sketch, it is the future of our country. History will not forgive anyone whose vanity and self-importance causes them to turn away the hand of friendship. I invite all those who believe in a big centre-ground, liberal movement in British politics to join us. You could be the leaders of tomorrow. Whoever is chosen in the future will lead not a small party, but a big movement. This is a battle we must wage for the good of the country, and it is one I am determined we will win. Vince Cable is leader of the Liberal Democrats.